EBD Water offers a variety of sewage treatment plants, handling raw sewage from various sources, producing different discharge qualities to meet each of the specific local requirements, all however meeting the international environmental standards. EBD Water sewage treatment plants utilize the extended aeration process for the reduction of the Biological Oxygen Demand (BOD) loading, being the main regulated discharge parameter. By providing sufficient oxygen levels and mixing, the microorganisms are allowed to breakdown the organic impurities in the raw sewage. Secondary treatment is achieved using the Pre-Engineered EBD Water package plants. 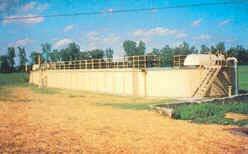 These package plants produce treated effluent levels of 20 mg/l BOD and 30 mg/l suspended solids. This is featured through a five-step treatment process: Comminution and screening, diffused aeration, clarification, sludge recirculation and disinfection. Tertiary Treatment and Advanced Wastewater Treatment (AWT) are further options to improve the discharge qualities. EBD Water multi-media Filtration Systems are used to achieve the tertiary treatment levels of 10 mg/l BOD and 10 mg/l suspended solids. 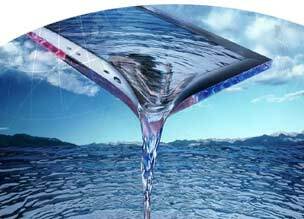 Further treatment, using technologies such as Coagulation, Flocculation, Reverse Osmosis and Ion-exchange produces water for reuse and recycle in all applications.